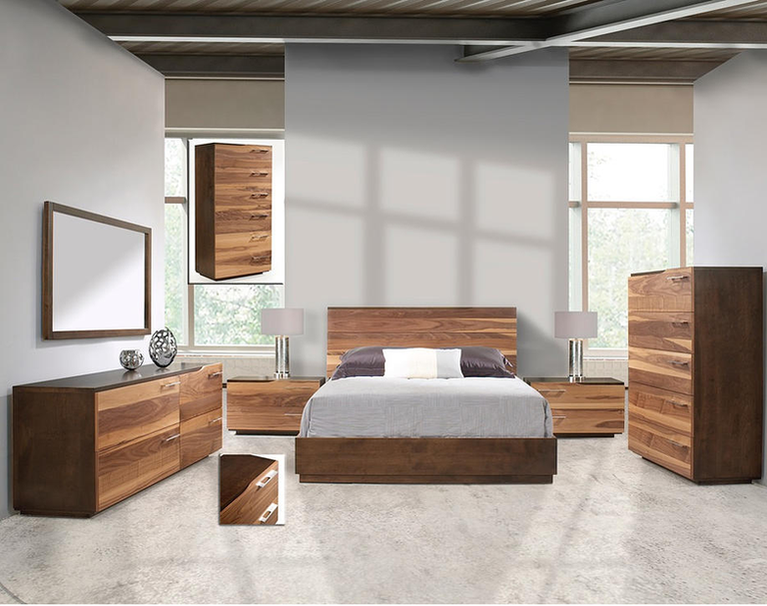 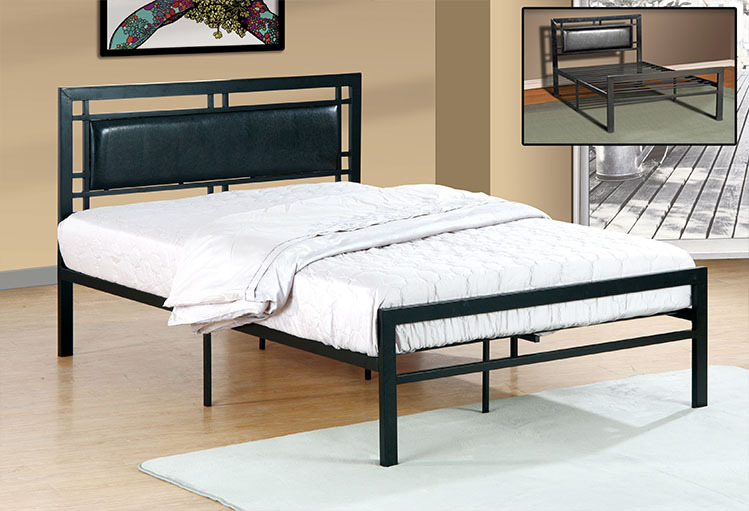 The IF-151 Single Platform Bed from is made with a black coated metal frame and features a rolled design along the headboard and footboard. 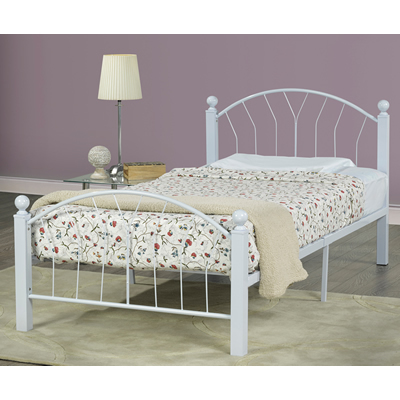 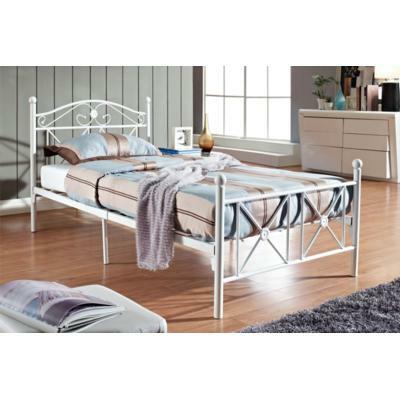 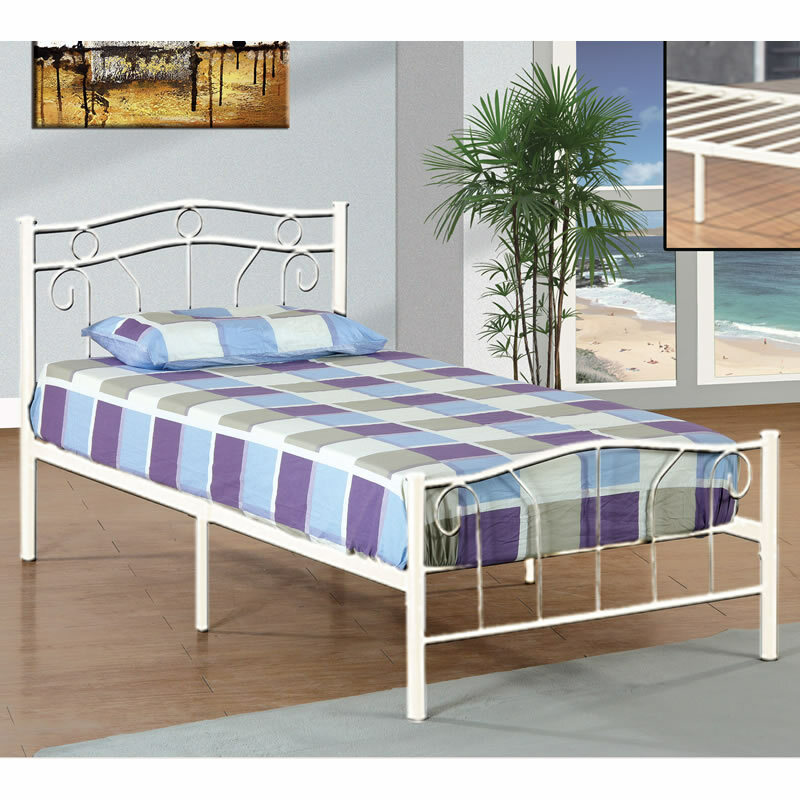 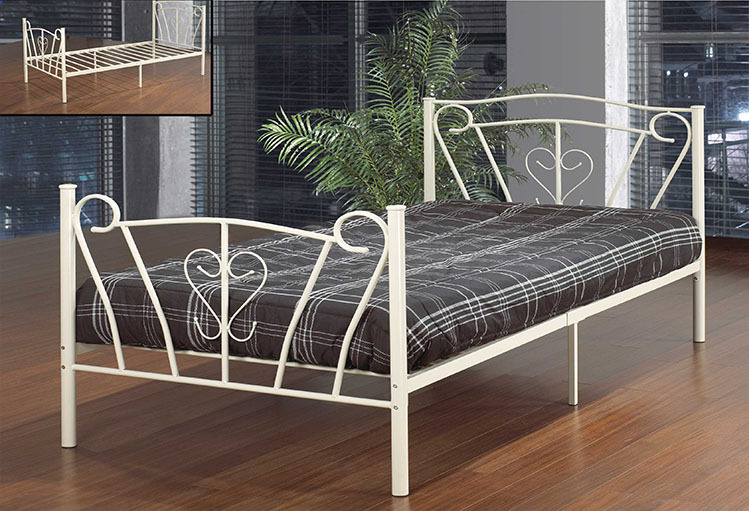 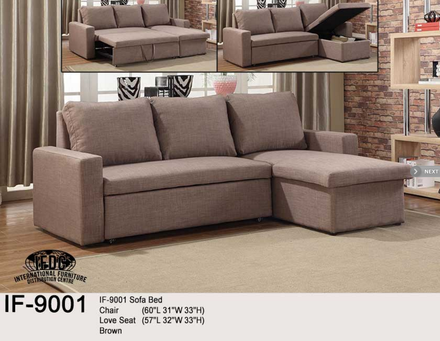 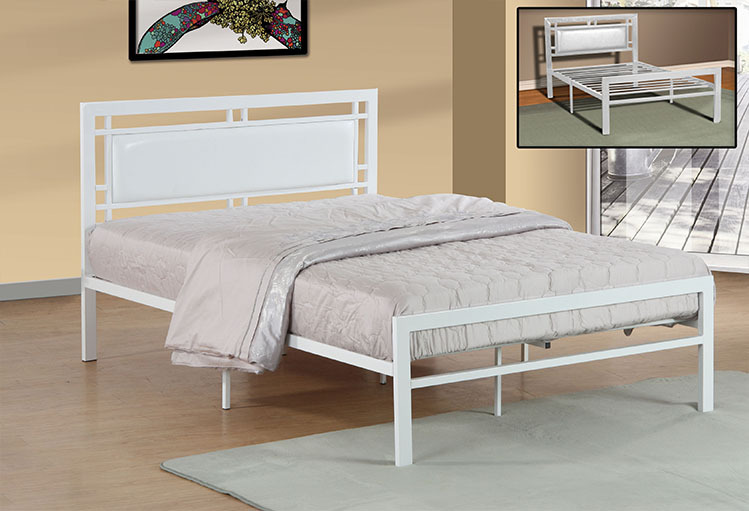 IF-108 Twin White Metal Bed Available in Single or Double. 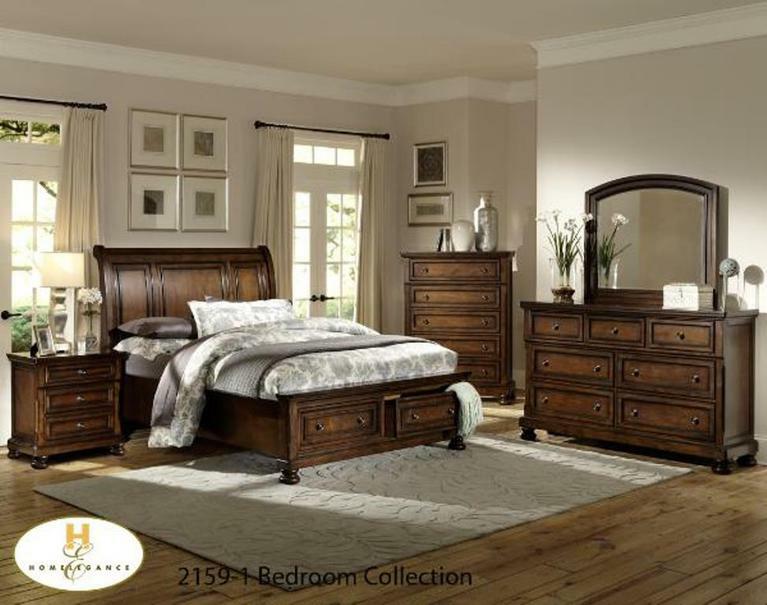 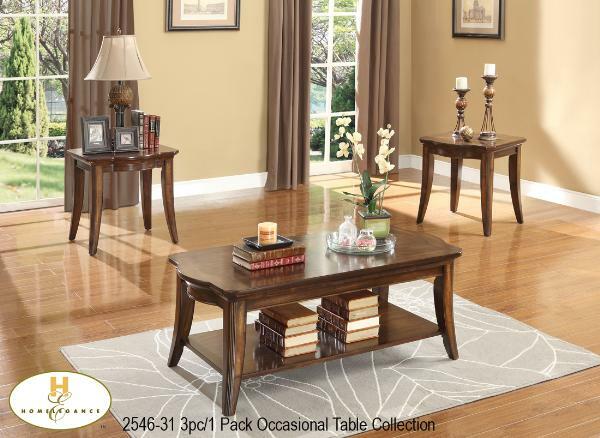 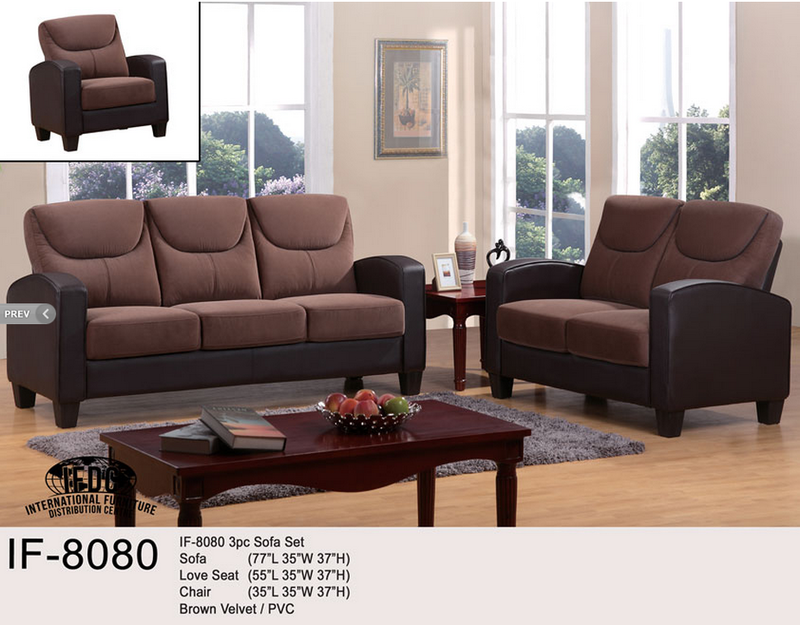 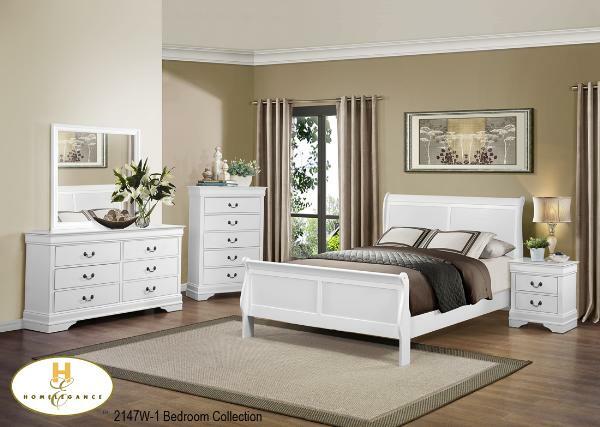 Features Curved Headboard & Round Finials. 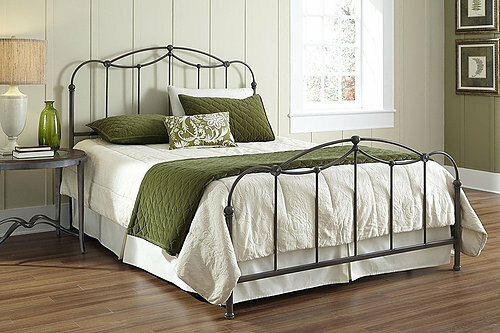 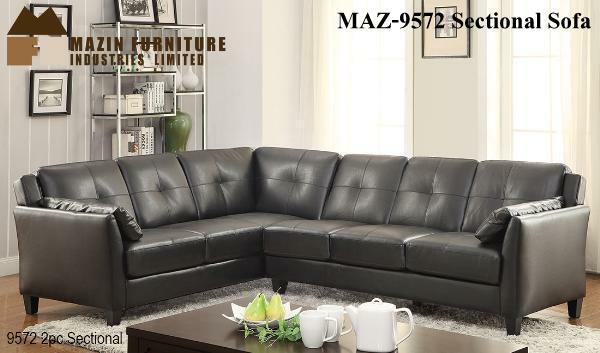 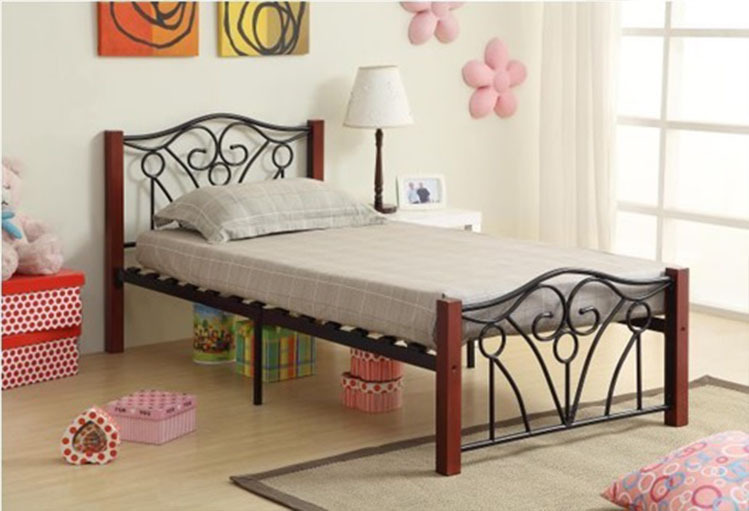 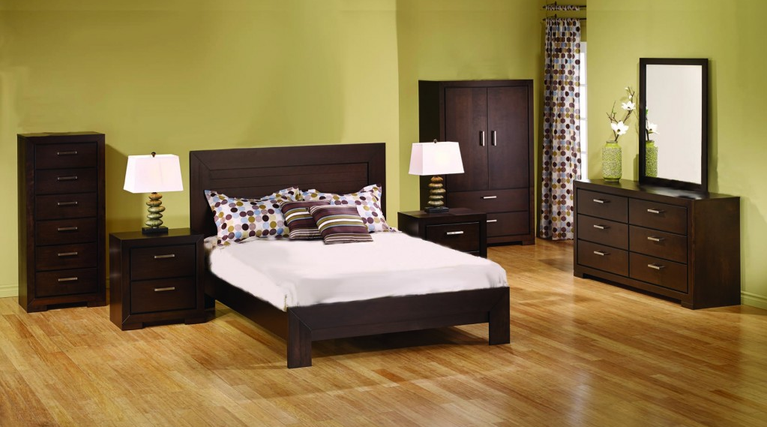 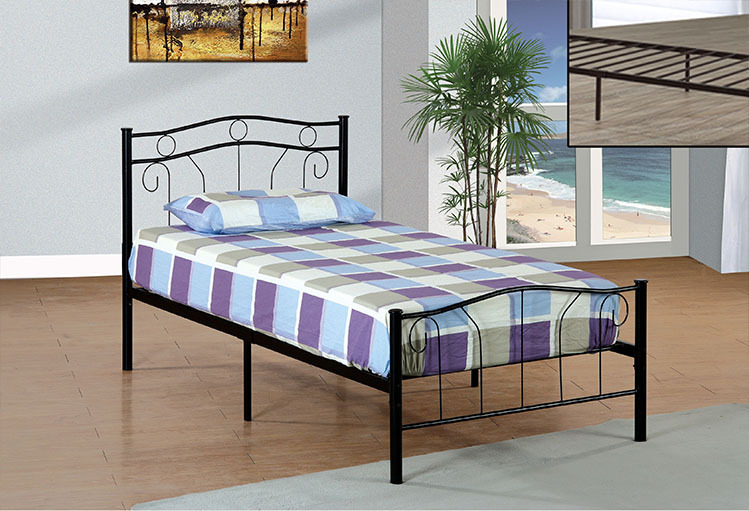 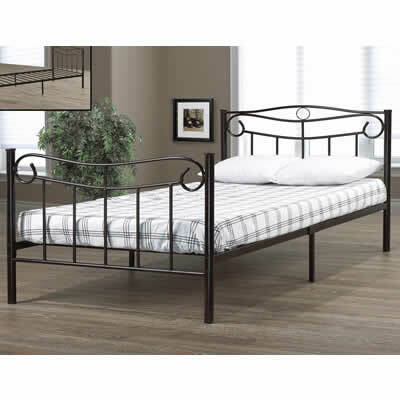 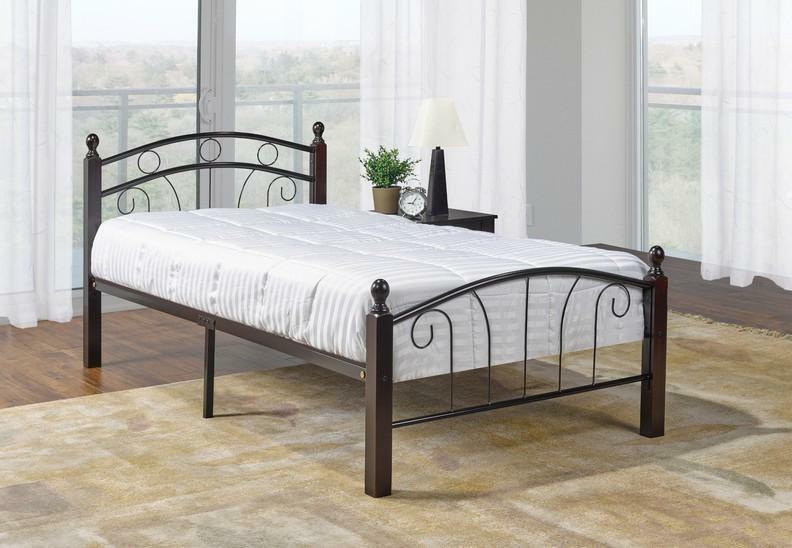 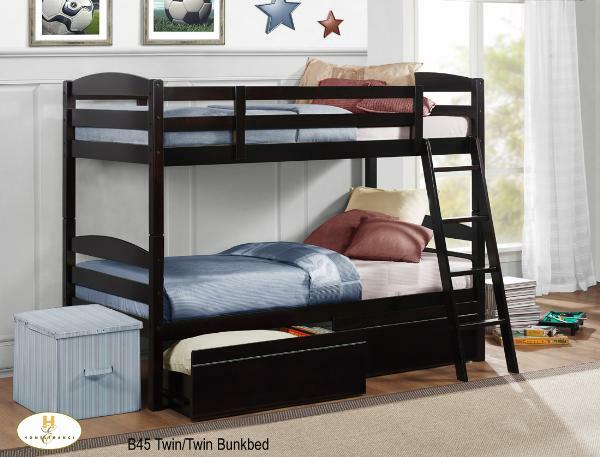 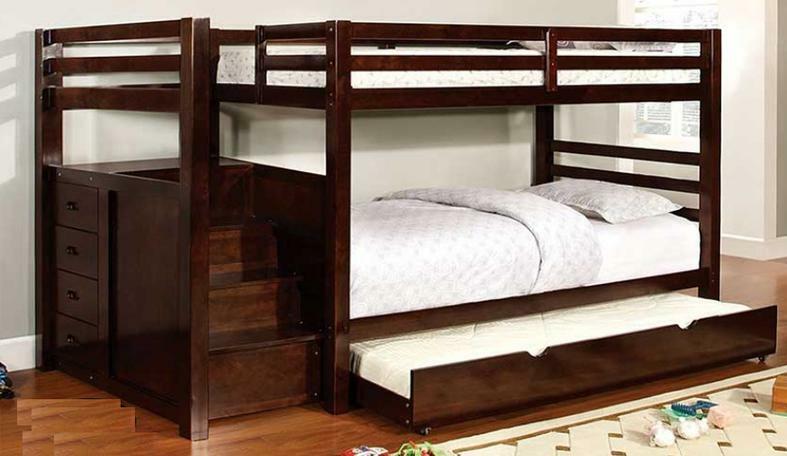 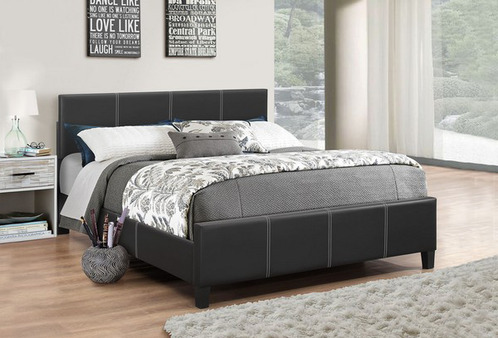 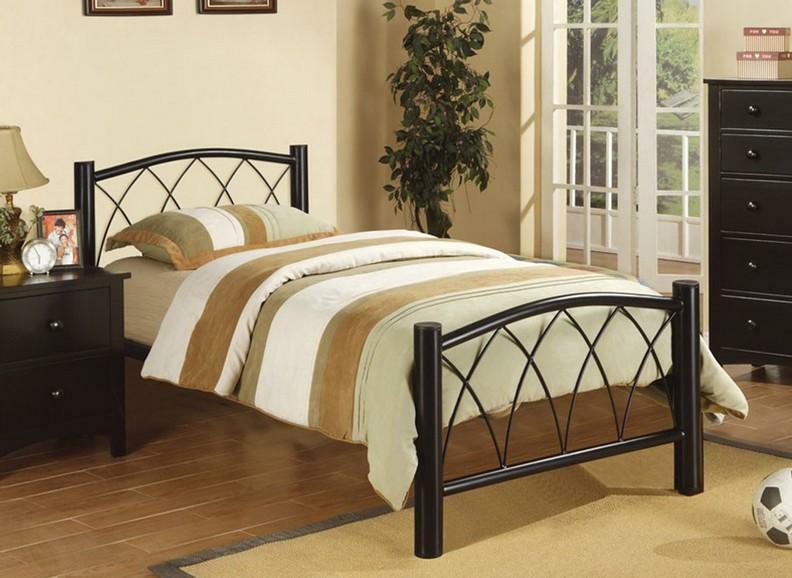 IF-182 Twin Black Metal Bed Available in Single,Double & Queen. 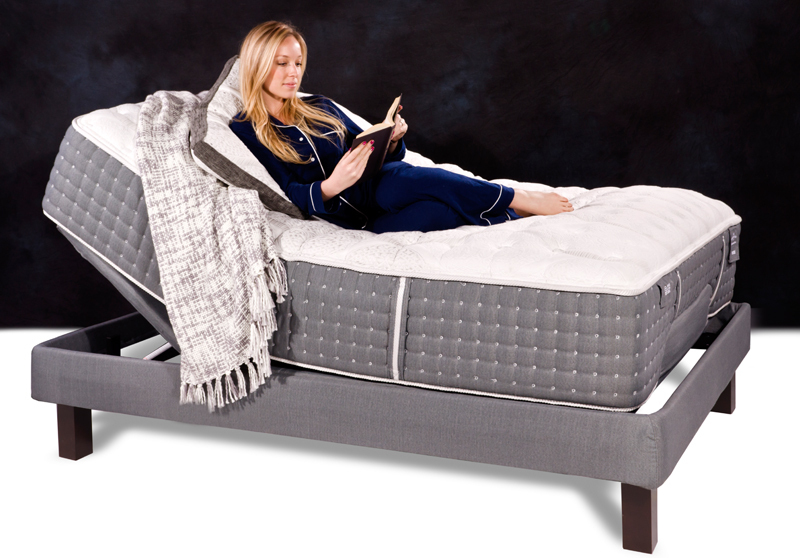 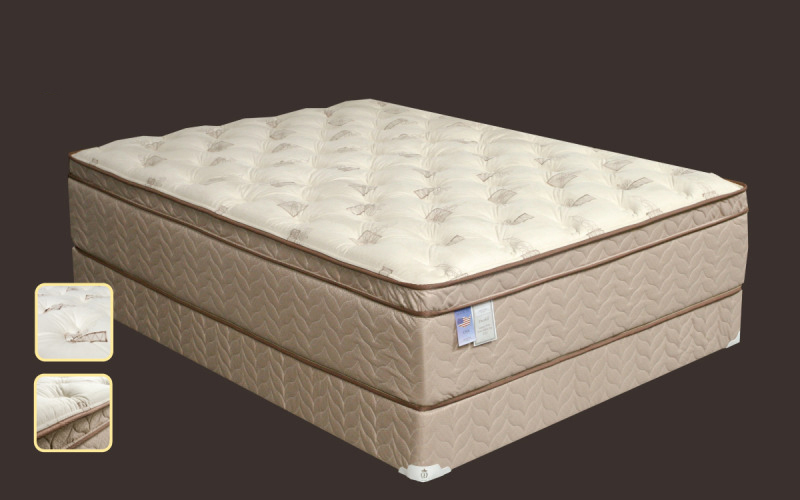 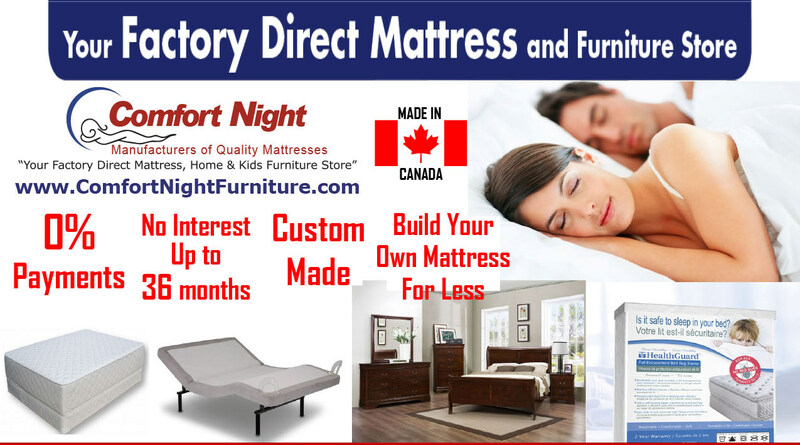 Bundle up with mattress and receive a package price!